This is the Official Calendar for Lucas Oil Racing TV. Click the ADD TO CALENDAR button to receive reminders before every event. Best In The Business 50 🏁 11:30 PM - 2:30 AM (Apr 27) GMT Watch Now on Lucas Oil Racing TV! Battle of the Groves II - Night 1 🏁 All day event GMT Watch Now on Lucas Oil Racing TV! Battle of the Groves II - Night 2 🏁 All day event GMT Watch Now on Lucas Oil Racing TV! Music City 200 🏁 1:00 AM - 3:00 AM GMT Watch Now on Lucas Oil Racing TV! 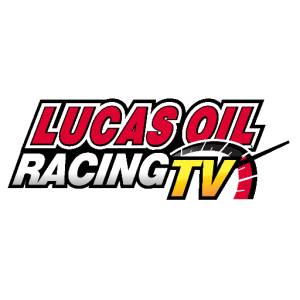 Toledo ARCA 200 🏁 All day event GMT Watch Now on Lucas Oil Racing TV! 6th Annual Cowboy Classic 🏁 All day event GMT Watch Now on Lucas Oil Racing TV! Tribute to Don and Billie Gibson 🏁 All day event GMT Watch Now on Lucas Oil Racing TV! 27th Annual Show-Me 100 🏁 All day event GMT Watch Now on Lucas Oil Racing TV! 12th Annual Ohio State Benefit Pull 🏁 All day event GMT Watch Now on Lucas Oil Racing TV! Clash At The Mag 🏁 All day event GMT Watch Now on Lucas Oil Racing TV!